In a few weeks, The Flaming Lips will release The Terror, the band’s 13th full-length album and the freak flag that marks the latest phase in its three-decade career. The Terror is a beguiling extension of the dark, circuit-bent psychedelia of 2009’s Embryonic; it’s also an extension of the Lips’ bid to be the humbler, better-adjusted Pink Floyd of the 2010s. Wayne Coyne and company deserve big props for being able to reinvent themselves so many times in 30 years, all the while retaining some semblance of vitality—and I say that as someone whose favorite version of the band issued its swan song seven years ago with At War With The Mystics. 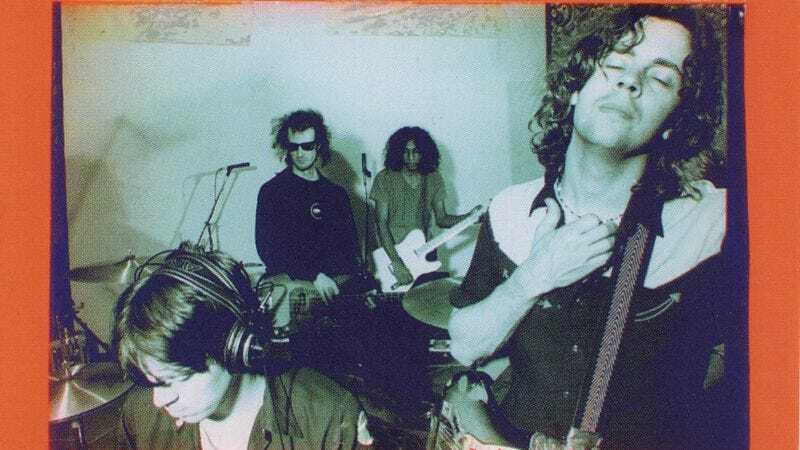 And even then, those Flaming Lips aren’t responsible for my favorite song in the band’s now-everlasting repertoire: That distinction goes to “Guy Who Got A Headache And Accidentally Saves The World,” a cut from 1995’s oft-overlooked Clouds Taste Metallic.